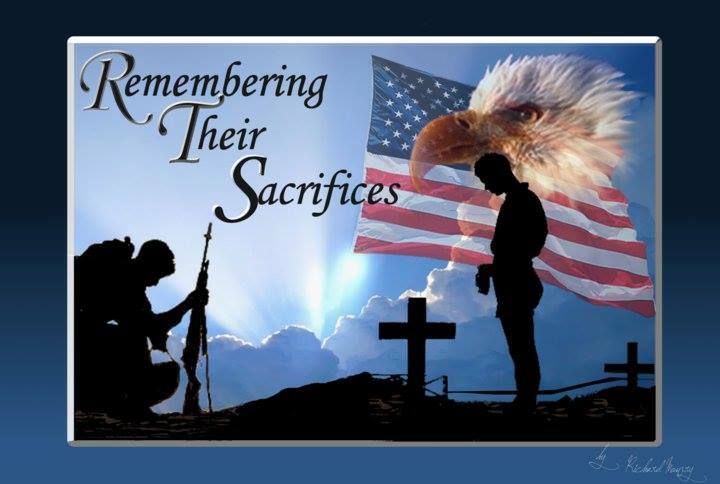 Posted on May 25, 2015 by HB Auld, Jr.
Today is Memorial Day, 2015. Many people forget that this is a day to remember the fallen, those who gave their last full measure of sacrifice for our Nation and for their comrades-in-arms. The following essay was written and posted by my good friend, US Navy Retired Chief Petty Officer Robert N. (Bob) Jenkins. I thought it said it all, in a MUCH better way than I ever could and so I am borrowing his essay and re-posting it here. Today, when you are tempted to “thank a vet” for Memorial Day, I hope you will remember Bob’s words here. Thank you, Shipmate Bob Jenkins. Pardon me for getting on a soapbox for a minute, but I want to draw a distinction between Memorial Day and other patriotic holidays. Many earnest and sincere well wishes are sent out to all members, past and present, of our nation’s armed forces on Memorial Day. Most of these wishes should be sent on Armed Forces and/or Veterans Day. Memorial Day is meant for paying homage to those who have given their life in service to our nation and the freedom we enjoy. The origin of Memorial Day dates back to the Civil War. There are many stories from those first years’ observances that illustrate the true purpose of this important day to honor those who died in service to this nation. Civil War deaths account for nearly half of the 1.2 million American Soldiers who died in our nation’s wars. It’s no surprise that a tradition known as Decoration Day was borne out of the tragic loss following the Civil War. According to historians, on April 1865 former slaves helped recover 257 Union Soldiers from a mass grave in a Charleston, S.C. racetrack, a site that had served as a Confederate prison. After the Soldiers were properly buried and the area fenced in, Charleston’s residents gathered, sang hymns and laid roses on the graves. In 1866, in Columbus, Miss., a group of women decorating the graves of Confederate soldiers who had fallen in battle, noticed the barren graves of Union soldiers and the women placed flowers on those graves, as well. The practice was repeated at multiple gravesites during the period. After World War I, the observance was expanded to honor those who died in all American wars, and volunteers began placing small American flags on each grave at cemeteries across the nation. From its origin to the evolution of Memorial Day observances today, one key premise remains. It is a moment in time that we all should stop, reflect and honor those who have given their all in service to this country. Today, the American flags marking each grave at cemeteries across the nation represent an intangible devotion. Words can never express our gratitude for the service and sacrifice of our armed forces—and that of our Gold Star Families. We are forever indebted to them. We honor them by upholding the standards for which they fought so valiantly. I urge everyone to remember the special significance of Memorial Day and what makes it so special and different from other patriotic holidays. What our fallen have paid, is a debt we cannot repay ourselves except in the honor and respect we show them. Posted on May 21, 2015 by HB Auld, Jr.
At the end of WWII, all the towns and cities across the country were looking for a “Hero” to celebrate America’s victory with, Los Angeles chose Admiral Halsey and had a ceremony on the steps of the LA County courthouse to honor America’s hero and at the end of it when Admiral Halsey was leaving, they had a line of sideboys. Admiral Halsey at one point in their careers. Later on that evening at a reception for Admiral Halsey, one of the civilian guests at the event asked the Admiral about the wink he shared with the Chief. 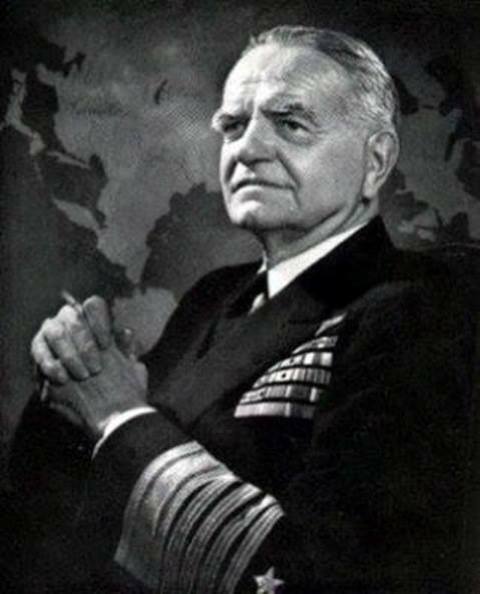 Admiral Halsey explained, “That man was my Chief when I was an Ensign, and no one before or after taught me as much about ships or men as he did. — ADMIRAL WILLIAM F. “BULL” HALSEY, JR.